We lost power for a few hours this evening, so I couldn't finish editing my post in time. 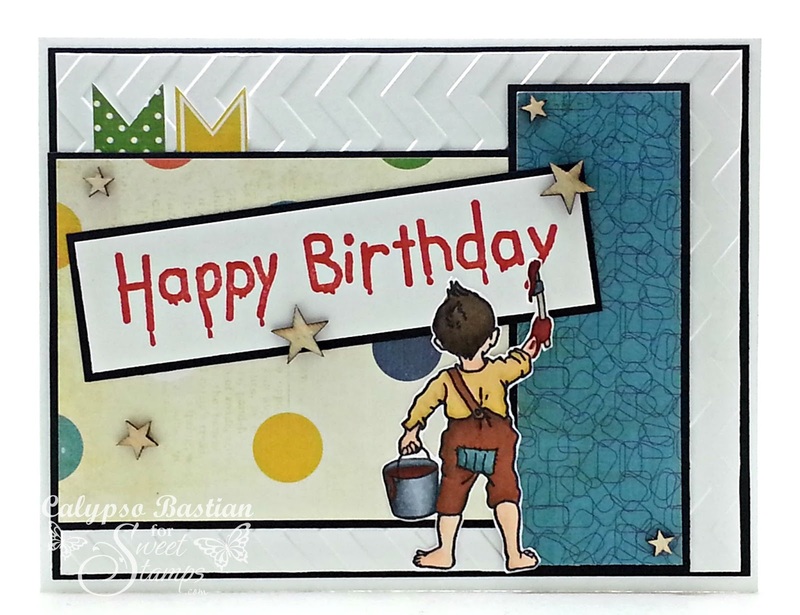 At SweetStamps today, it is a new challenge week. oooo sold I love this stamp super cute. So hard to tell sometimes what a stamp will look like until you see it used. Very cute. Love the colors and the little ribbon tags sticking out from behind. 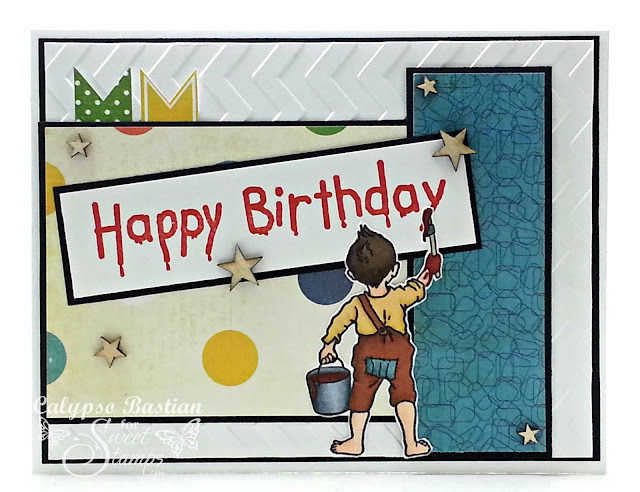 Sweet design, beautiful coloring and I love all the layers especially the embossed background. How sweet is this image- which I do not have...yet : ) Love the colors you used and the stars are a perfect embellishment! How fun!! Such a great design! Love the embossing and added banners! Billy is such a fun image!! May have to add it to my wish list!! Lovely coloring!! I just love it! Your colouring is fantastic! That sentiment is a must to have next on my list! Very cute card. I love layout papers. Thanks for playing with us at Dream Valley challenge. This is just too cute, love it! This is gorgeous. I love the cute image and the papers are scrummy.